Tired of spinning your wheels at networking groups? Do you want to boost your sales, get out of your own backyard, generate a larger income and create a massive impact? If you're concerned about market competition, meeting sales quotas, or overcoming the anxiety of building a business that generates an income, then the knowledge and information in Selling Through Your Heart will help you take your business to the next level so you can achieve all that you desire. 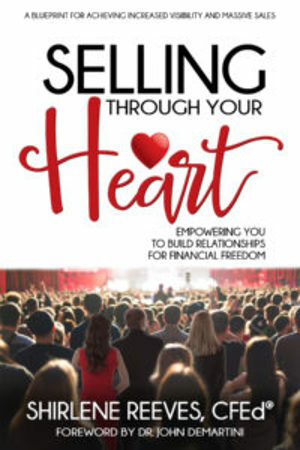 This book is full of real-life insights, inspirational stories, and easily applied advice that will have you wishing you d read this book years ago. It's time you live the life you've always wanted by doing the work you love. Now is the time to become the powerhouse salesperson you've always wanted to be. The answers you've been looking for are here in Selling Through Your Heart.